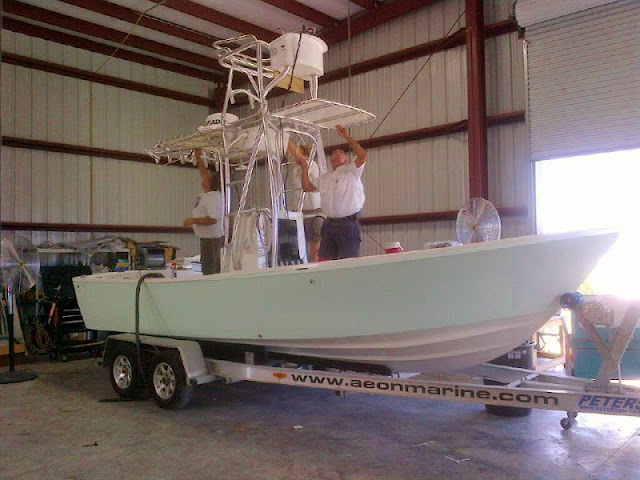 I had a chance to catch up with the owners of Aeon Marine in Palmetto yesterday and there are some really interesting things coming out of the factory over the next few months. For starters, a couple of new boats will join the lineup by the end of the year. I've seen them and know most of their details but the most impressive thing about these hulls will be their price. Just like the current Aeon 23 and Beavertail skiffs, the new boats will run thousands of dollars less than their competitor's models. The fall boat show season is here and Aeon should announce their schedule soon but the Tampa Convention Center show starting on Sept. 28 is a sure thing. One of the new Aeons will make its debut there so be sure to stop by and say hi to Will and Liz. You can check their Facebook page for more updates. I'll probably be at their booth answering questions about the Beavertails on at least two of those days. See you there.